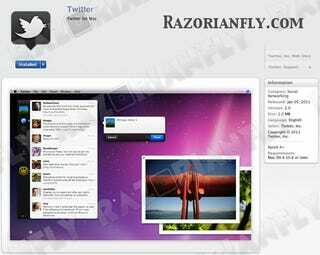 Tweetie 2.0 for Mac Is Launching Tomorrow with the Mac App Store? After being seemingly forgotten, a brand spanking new Tweetie 2.0 will launch tomorrow on the Mac App Store. Tweetie 1.0 has long been our favorite twitter app for Mac, so we can't wait to see what version 2.0 will bring. Finally!